Julie Peele faces two felony charges. NASH COUNTY, NC -- A Red Oak woman faces charges for allegedly selling sick puppies to unsuspecting viewers. I've been investigating her for months and now the law has caught up with Julie Peele. Peele is charged with two felony counts: one charge of obtaining property under false pretense and one charge for attempting to obtain property under false pretenses. She made her first court appearance Tuesday in Nash County. 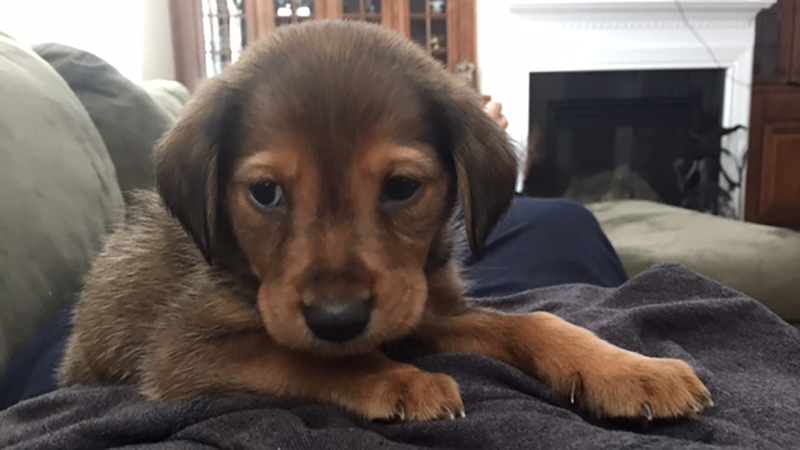 Last October, a Cary family said they bought a sick puppy from Peele. 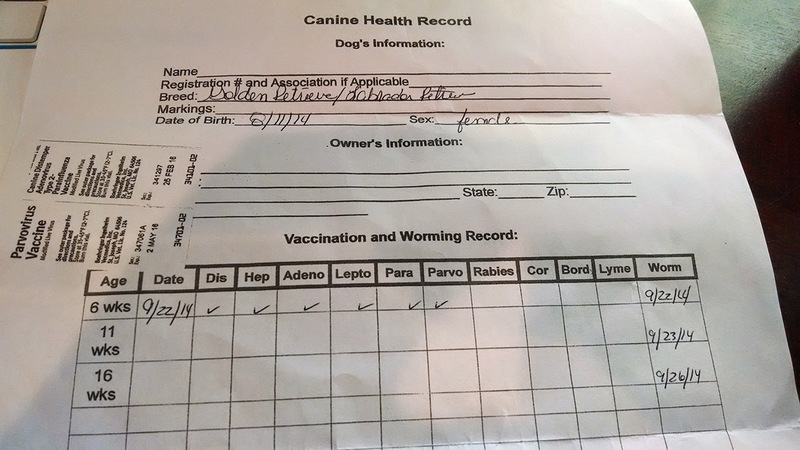 Libby Powers answered an online ad about a dog for sale and said she received a shot record from Peele that showed the dog was up to date on her vaccinations and other medication. Libby and her family drove from Cary to Red Oak and paid $150 for the puppy they named Meadow. After they got Meadow home, her health quickly deteriorated and Libby said they had to put Meadow down. To read more about the Meadow's story. In September, we heard from another viewer, Larry McAvoy, who told me he believes the same lady sold him a sick dog. McAvoy found his dog by responding to an online ad for a mix breed puppy for sale in Rocky Mount. 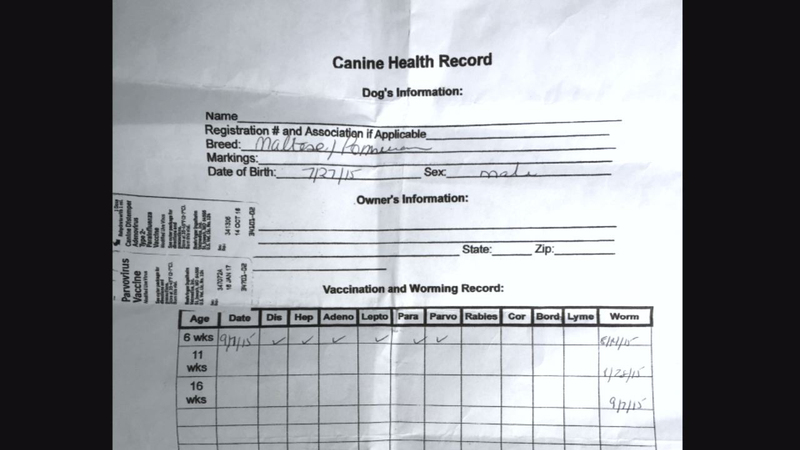 He said he was told the pup was up to date with his shots, and was given a vaccine record. McAvoy drove to Red Oak and says he paid $200.00 for the pup he named Gizmo. "She showed no remorse when she sold the puppy, didn't give it a goodbye or a pat on the head, nothing like that," said McAvoy. "On the way home, I noticed that the puppy just seemed really tired," McAvoy said. "What got my attention was it had a real loose stool, blackish stool." McAvoy says he tried calling and emailing the woman but she never answered. By the end of the week, McAvoy took Gizmo to the vet after his health continued to deteriorate. "They described the hook worms from going into the intestinal lining and once it becomes disengaged, it bleeds internally and that was the reason for the darkish colored stool," McAvoy explained. "We did our best to try to get fluids in him, but about 10 o'clock that same night, he passed away." McAvoy said he was so upset he started doing research and saw my previous investigation from last October with the Powers family. After seeing Meadow's story online, and comparing it to his, Larry reached out to me. "I just wanted to see if we can hopefully stop this from happening from any families in the future," he said. McAvoy found another ad on the same website that he found Gizmo. He emailed back and forth with the puppy's owner and set up a time for his wife to meet the person selling the dog, once again in Red Oak. McAvoy's wife met Julie Peele in the same parking lot the Powers say they met Peele to buy Meadow. As Peele handed the dog over to Larry's wife, I was there too. I asked Peele if she knew the puppies were sick. "No, these puppies are not sick," Peele said. "They get shots from Tractor Supply and worming." Peele told me she did not want to be part of my story. She was about to get in her car and leave until I reminded her about her puppy. I asked her about selling Gizmo to McAvoy. "No I have never met him, am I that person that you met? Ask him if I am the person that he met?" Julie said. Larry confirmed she was the one and Julie insisted that he was lying. How about selling Meadow to the Powers family? "I don't know what you are talking about," Peele said. While Peele claimed she did not know Libby Powers either, when I showed the video of me confronting Peele to Powers, Powers said that is the same woman who sold her Meadow last year. "My blood is boiling. That's her. I can't believe she is still doing it," Powers said. "I hope police can make her stop. It's not fair to the families, not fair to the puppies." When I asked Peele if she felt bad for these puppies and the families she allegedly sold the pups too, she said, "This puppy is fine. Look, it doesn't look sick as all. It's had what it's supposed to have at his age so I'm not doing anything illegal, anything wrong." 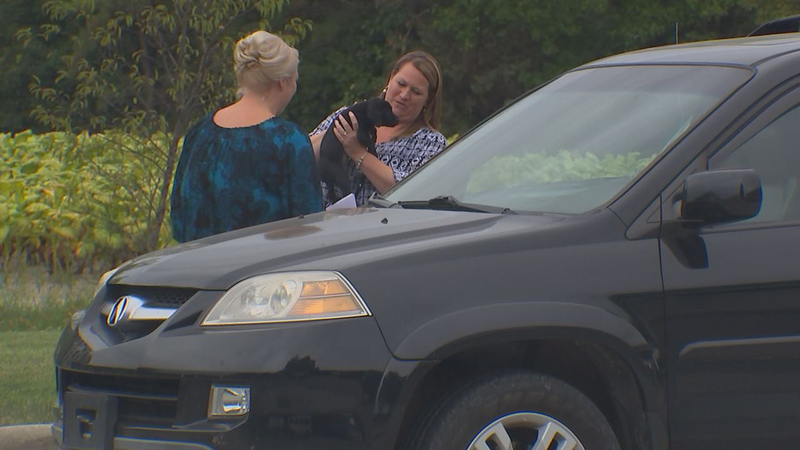 That will now be decided in the court system since Peele is charged with two felonies in connection with allegedly selling sick puppies. A rep with the Nash County Sheriff's Department said they are familiar with Peele as they've had complaints in the past about her allegedly selling sick puppies. The rep said they've warned her to stop. When I asked Peele about that, she said no one from the Nash County Sheriff's Department has talked to her. Here's some more tips if you're looking to buy a dog online. 1. Examine the pictures of the puppy very closely to make sure they are original. You can search images on Google to see if the photo comes up anywhere else on the Internet. If it does, chances are they stole the photo and are using it to scam people. 2. 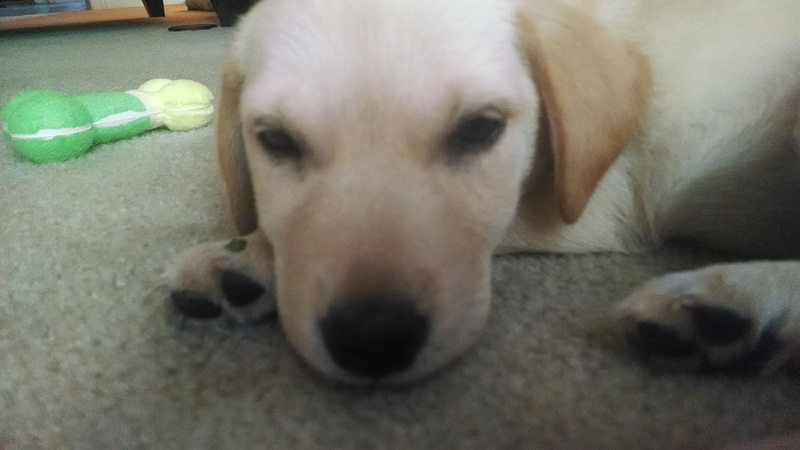 Request additional pictures of the puppy. If the seller actually owns the puppy, they should be able to send you multiple pictures from different angles as well as pictures of the puppy at a younger age. 3. Never wire money to a seller. Scammers use this method so they cannot be traced once the money is received. Scammers also use pre-paid debit cards. 4. Google the name and email address of the seller. If they are scamming you, chances are they have scammed someone else. 5. If the deal is too good to be true, it normally is. Certain breeds of dogs are extremely expensive and it is unlikely they would be sold for little to no cost. Do your research.